I believe that if you want others to feel something when they see your art then YOU have to feel something, share something, or work through something when you create your art. I promise you that it shows in what you put out into the world. 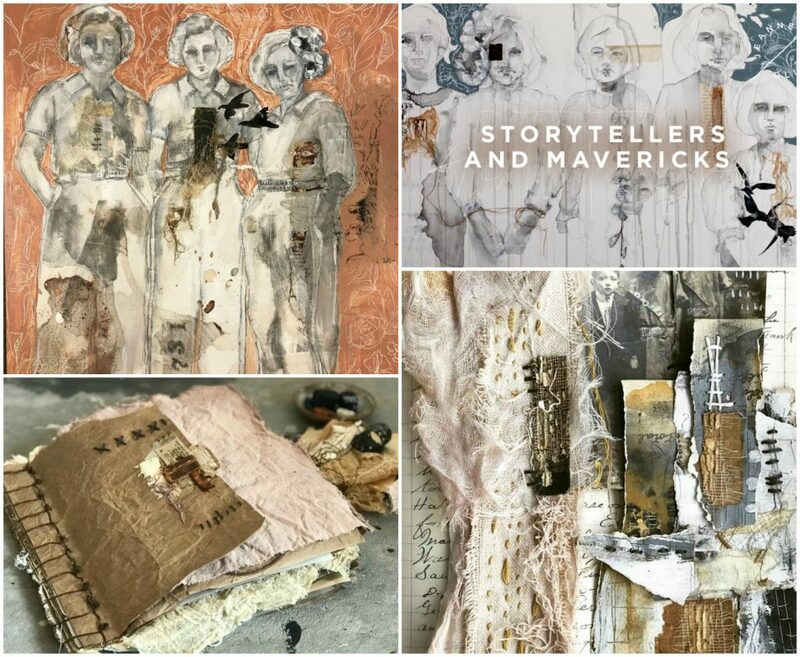 If you want to create art that evokes emotion and feeling then I hope you will join me in Storytellers & Mavericks. Join me as we create a gorgeous dyed and stitched journal, use natural dyes with papers and fabrics, create mini masterpieces with marks and stitching, pull our palettes together, discover alternative image transfers and create art that tells a story. When I create an online course it is because I have no other choice but to dive into this course that has been calling me. I am so excited to share that I have a brand new online course and this time we are taking storytelling through your art to an even deeper level. We are going to create some incredibly moving and powerful art together. 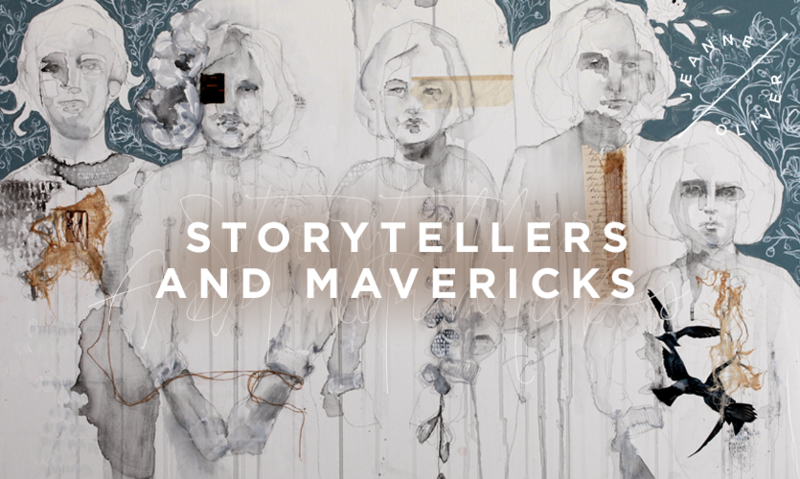 Storytellers and Mavericks opens Wednesday, November 14th with Instant Access. Registration is $58 with 8+ Hours of Content. Let’s tell some incredible stories through our art! Each piece of art that I have ever created has led me to this time and each piece has brought me closer to my own journey in storytelling through my art. Only through practice and honoring my own journey and story have I been able to have the courage and vulnerability to create art that tells the story of my heart and those around me. Join me as we look into the eyes of those that have come before us. Let’s tell their story. The story of the Mavericks. 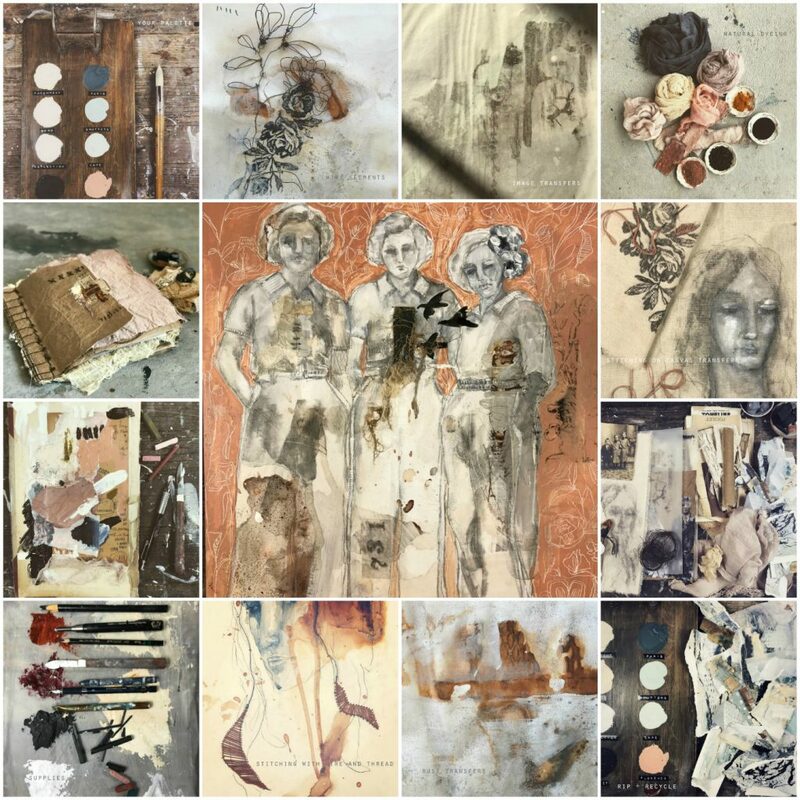 With journal making, dyeing, stitching, sketching, painting, collage and mark making we will bring your stories to life. We will take beautiful and broken stories and intertwine our own poetry and journey. We will spill out our stories onto the canvas with hidden messages, symbolism and depth. We will create art that shows emotion, inspires and connects. Maybe there are stories in you that you didn’t know you have to tell. Discover the power of expressive storytelling and tell the stories that are begging to be known.